One World-One Heart is a blog-wide giveaway event. The idea is to bring bloggers together from around the world who may never ordinarily meet. You can click on the logo above for more information and a list of more blogs to visit. This is an original mixed media collage painting created on a 6" x 12" canvas panel. It is sealed for protection with a matte finish. Media used: acrylic paints, watercolor crayons, original printed image. If you would like a chance to win just leave a comment on this post and on February 12, I'll draw a name. Be sure to leave your e-mail address or a link to your blog so I will know how to contact you! What a gorgeous painting! please add me to your draw, I'd love this! to I am number 303. Beautiful work! I'm so impressed! That is such a beautiful mixed media piece! It is so perfect for the OWOH theme too. I love it. Lovely painting! I would be thrilled to be included in your OWOH draw. Please enter me and make sure to come by and enter mine if you haven't already. How gorgeous! Please include moi! And stop by my OWOH! Beautiful art! Would be perfect for my anniversary coming up! Please enter me and visit my blog to enter! This is beautiful... Please add me to your list. This is so exciting... Thank you..
Beautiful and very generous of you! Sign me up sister! So beautiful! Please enter me in your giveaway & come check out mine, too! So romantic, and the style reminds me of magazines from the 1960s, but with a modern twist. Come play on my blog, #310 on the list. I love it. I was watching it for some time before making a comment. its so romantic. Thank you for a chance to win it. Oh your painting is soooo beautiful, please include me in your draw. Your piece is lovely! Thank you for sharing your talents with us! such a beautiful painting. please enter me in your drawing. thanks! What a beautiful painting. Please enter me in your giveaway! What a nice blog...and what a lovely painting. Please add me to your drawing. this is a beautiful piece of art! Thank you for sharing it! I love your painting. Please enter me in your giveaway. A beautiful collaged painting. It brings great memories to mind. Oh Wow! I love your canvas. Please add my name to the draw. What a lovely couple you have captured her. This reminds me of me and my husband (back when we were thinner!). It is lovely! Please add me to your entrants. oh how very pretty. 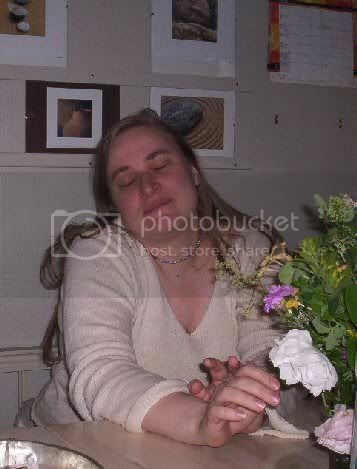 my husband and I celebrate our 19th anniversary the end of this month. would be nice to win something like this. please enter my name. thanks for the opportunity. please stop by and visit my blog when you get a chance. Please add me to your drawing! This is such a romantic and love filled treat that I just had to enter my name! It is so delicate and wonderful. If you have not already joined my blog give away, please drop by soon! Thank you for sharing your beautiful mixed media collage art work! Oooh, goodness, that is superb! So lovely! Thanks for the chance to win! What a beautiful mixed media piece! I would love to have this displayed in my home! Please do enter my name in your drawing & visit my blog to enter mine! You may reach me at latharia(at)comcast(dot)net if I am so lucky as to win! This is beautiful! I would so love to win this! What a beautiful giveaway. Please enter me. Your collage painting is stunning! Count me in, PLEASE!!! And please do feel free to stop by my blog to enter my own OWOH giveaway, too! OOOOhhhhh, this is so romantic! Please count me in. Be sure to pop over to my blog (I'm #98) to enter my give away. Very pretty. Thank you for the chance to win!! I love it. I'd love to enter the drawing. Very pretty collage painting. Thanks for entering me! Hi! I’m visiting from the Philippines. Your painting is sweet-Wish I win! If you haven't already, come play at my blog too! I really love the simplicity of this painting. I would love to have it. Count me in! Wow this is amazing. I really love it. Fantastic. Here is the link to my giveaway..
What a Fabulous giveaway! I would love to be entered in your drawing. Please stop by and enter yourself in mine as well. Lovely --- please enter me. Oh my, what a beautiful mixed media piece, Ursula! I'd love to add my name for a chance in your drawing...thanks so much! Wow, what a beautiful painting and tremendous talent! This is a wonderful giveaway, and someone is going to be so lucky to win! I hope it's ME! :-) Your blog and your work is amazing! Thank you so much for the opportunity to win! Please stop by my blog and sign up for my little giveaway, as well. I'm #360 on the list! Wow- this is beautiful. You are very talented. What a sweet couple. Please add me in the drawing, I would love to win this. WOW! Oh my gosh - this couple looks just like my hubby and I!!! Thank you for being so generous! Your collage painting is wonderful, I have the perfect place on my wall for it! This is so beautiful!! I would love to enter, and please stop by my blog and enter also!! I could just see this on my wall. Please count me in. Your giveaway is awesome! Please count me in. Your painting is lovely. Count me in! Your painting is so very lovely. The girl reminds me of my college-age daughter who goes to school far from home! What a beautiful painting. Thanks so much for the chance to win. Lovely painting! Please add my name to your drawing! Then come on over and enter my OWOH Giveaway too! I’d love to see you there. stunning! please add my name. Awesome painting. Please enter me in your giveaway. Be sure to enter my giveaway (#357) as well. Thank you from Alaska. Your art is amazing...you are so talented! I would love to learn how to do collage, could point me in the direction of some tutorials? Your work is beautiful. Both your collage work and your dolls. I've enjoyed poking around your blog! Thanks for stopping by my blog. Isn't this OWOH a hoot? Thanks for dropping in and entering! Please enter me in yours too! I would love to own an original by you!! what a beautifully elegant piece, there's going to be a very lucky blogger on the 12th!! So pretty...I'd love to hang it on my wall. Please stop by my giveaway as well! That is an awesome painting, I would love to win it..hope you find time to hop over to my blog too. What a lovely painting. It captures so much: love, family, desire. Please enter me in your drawing. Wonderful! Please enter me in your drawing. Stop by & enter mine also. I'm # 640 on the OWOH list. What a lovely collage painting. Your drawings are gorgeous, as is your blog banner. It's lovely. Please enter me in the draw, and pop over to my blog if you'd like to check out my giveaway too. What a gorgeous piece! Please add my name to your list, and if you haven't already, stop by my blog to enter my giveaway. 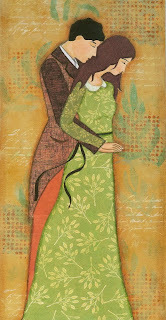 I love this painting it is a wonderful giveaway...please enter my name. What a wonderful art piece! Please enter me in your drawing. Thanks so much! would really love to be entered in to the drawing for your giveaway, thanks for the opportunity. so nice to get to "meet" you through this event. Hello Ursula .. Greetings from Scotland, what a delight to have found your blog through OWOH, I'd love to be in with a chance of winning your awesome mixed media canvas panel .. count me in. Do stop by my place if you haven't already. I love your picture, please add me to your giveaway! What a wonderful giveaway! 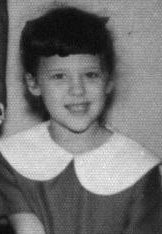 Please enter my name, and if you haven't done so already, stop by and enter mine, too (#71). What a nice giveaway! Please include me in your drawing. Thank you! Please count me into the drawing, and drop by and check out my new blog #479, Rusted Wings!! just beautiful! please come enter my giveaway too! Wonderful giveaway! What a beautiful piece! What a great giveaway. Please enter me in your drawing and Thank You! What a lovely, romantic piece. This is so beautiful, and would look amazing in my livingroom, or bedroom *G* Thanks for offering this! The winner will be VERY lucky! It's beautiful and such a great giveaway!... Thank you so much for the chance to win!!.. Your painting is lovely. I'd be thrilled to be the winner! Please include me in your drawing. I am giving away a rubberstamp set so stop on by if you have a moment. Your collage is wonderful! Please enter me into your draw -- thank you so much!! I'm off now to look around your blog some more! Wow, such a tender and loving piece. This would look so wonderful in my home. Please count me in! What a wonderful coPlease add me to your giveaway :)llage! I would love to be entered for a chance to win your wonderful collage painting! So beautiful! Thanks! Beautiful mixed-media piece. Would love a chance to win. I would love to win your giveaway. Thank you for being part of OWOH and if you haven't already, stop by and register for my entry. The painting is gorgeous. Your art is great - I'd love to win your giveaway, why not call by my blog and see if you can win mine? Please include my name in the draw for this stunning work of art! What a beautiful piece of art. i would be so lucky to win this. Really beautiful! Please count me in. I am #543 on the list. I could stare at that picture for hours! What a fabulous painting!!! I would absolutely love to win. Thanks. wonderful! please count me in! I would love to win your media collage! Your site is so beautiful. I would love to win your prize. After this is all over I’m going to spend more time viewing every ones. Please stop at my site too. I’m giving away my new book “16 x MOM: A Mastery of Motherhood.” I will personally sign it for you. Your painting is wonderful. The quiet momment you have captured is so full of love. please enter me for a chance to win too! Beautiful...so heartfelt. It reminds me of tender moments with my beloved husband...I would love to wind this gorgeous piece....please include me in your artistic giveaway and come visit me when you get the chance. 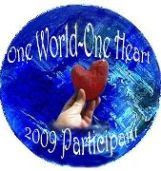 OneWorldOneHeart! What a beautiful collage painting! I love the romantic appeal of it! ... seing that I'll NEVER be able to create anythin gthis beautiful ... maybe I can win? You are so talented ... and thank you for your generosity. Greetings from Florida! Please enter me in you giveaway and if you have not done so already please jump on over and join mine. Wonderful prize. Please enter me in your drawing and if you have a chance visit me at my blog #795. I am a great fan of your work. I would love to win. What a beautiful blog! And such a nice giveaway, thanks for the chance to win! How touching! I would love to win. Please enter my name and come on over and visit my giveaway. how very sweet! Please put me in your drawing and check mine out too #906. Passion and lust is out there, everywhere this month- it's such a relief to see your sweet, heartfelt expression of love and tenderness in your giveaway! Please add my name to your list. Count me in! :) thanks for sharing it.. beautiful! I would love to be entered into your give-away. Wow..this paiting is beautiful. What a lovely giveaway! Please enter me!! Hi, it is so nice to meet you! I would love to have a chance to win this beautiful piece! Amazing Painting! Please enter me in your great giveaway - Thank you! That's wonderful. I1d like to place it in our sleeping room. Please count me in and let this giveaway come to Hungary!